Hello everyone I wanted to start a new series because school is almost over and I felt like doing something. So I've always been intrigued with Ivy League Schools as of alot of people. The most prestigious schools in the nation. I felt like redesigning them. Now this will be a multi-sport thread with Football first, Basketball second and Baseball last (With other sports added in the future). So without any hesitation here it is. Wow these look great! Could I get a closeup of the logo you are using for brown? Is that ivy wrapped around the B? Also can I ask where you got this template from? It looks nice, but the light silver and the white are so close together that it seems pointless to have both, especially with them having the same exact design. I'd choose the silver and run with that. 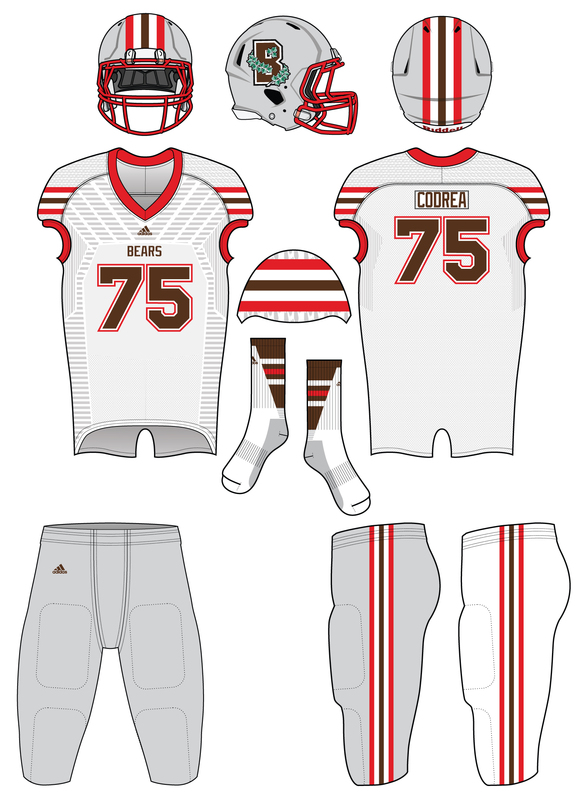 This looks really good, but what about a brown pants option? So tell me what you think? 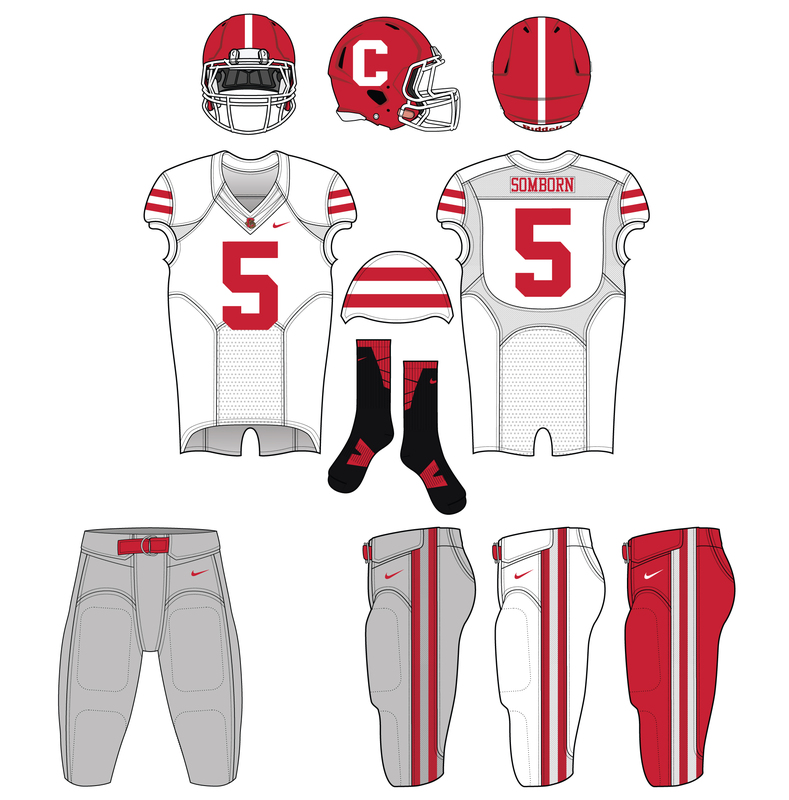 The thin stripe on Cornell's helmet doesn't look right next to the bold block C logo. 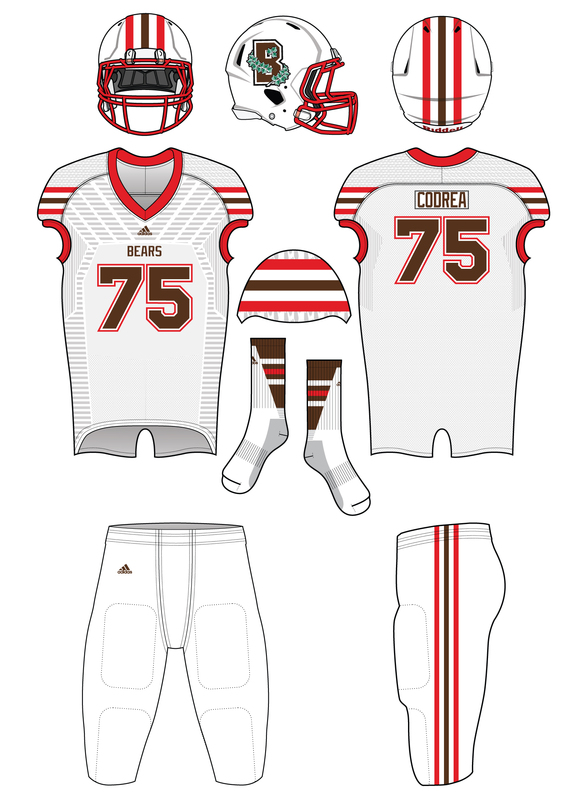 Make the stripe and logo work together by thickening up the stripe. 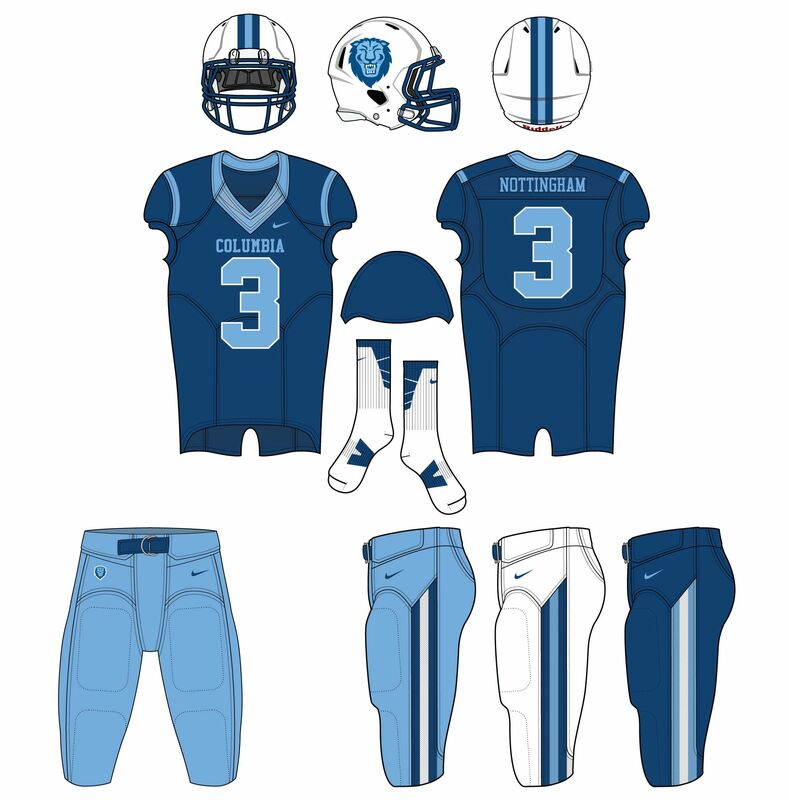 Love the simplicity of the Ivy League, and your designs match them. Maybe you should add hockey as well. 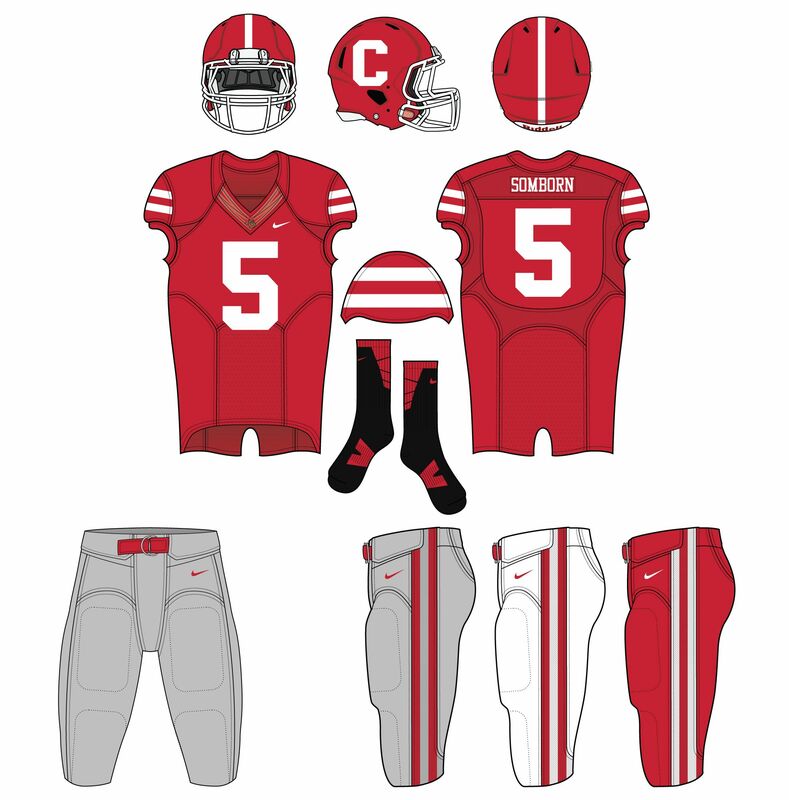 I agree with davidmiller5 on Cornell's helmet stripe it needs beefed up to look better. 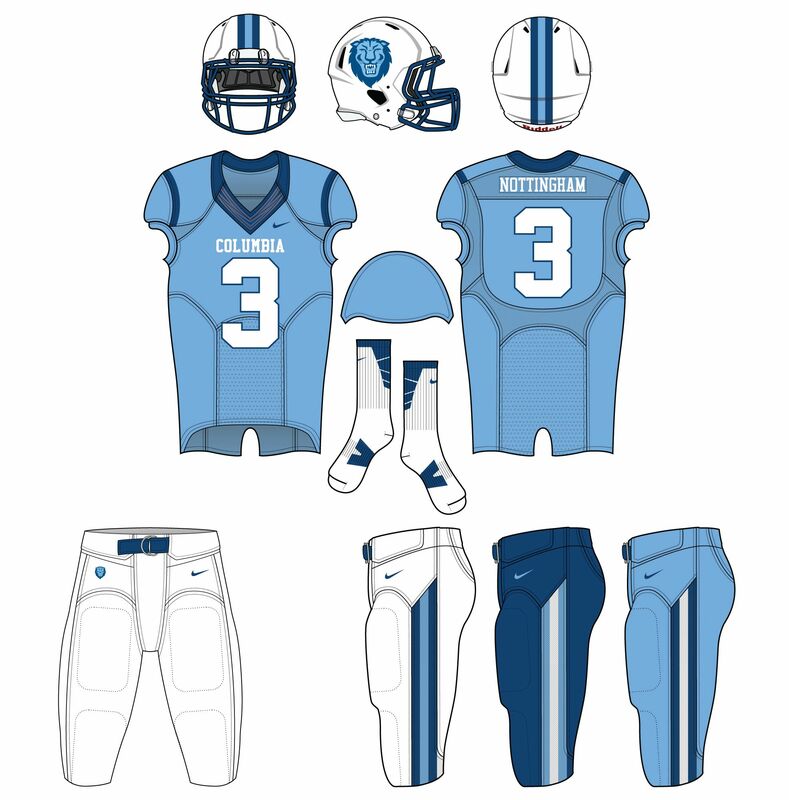 Yeah for my Ivy League designs, atleast for football I didnt want to go super over the top with most of them. Hockey is definitely a good possibility of being added on this thread as well. As for the helmet stripe I will fix. 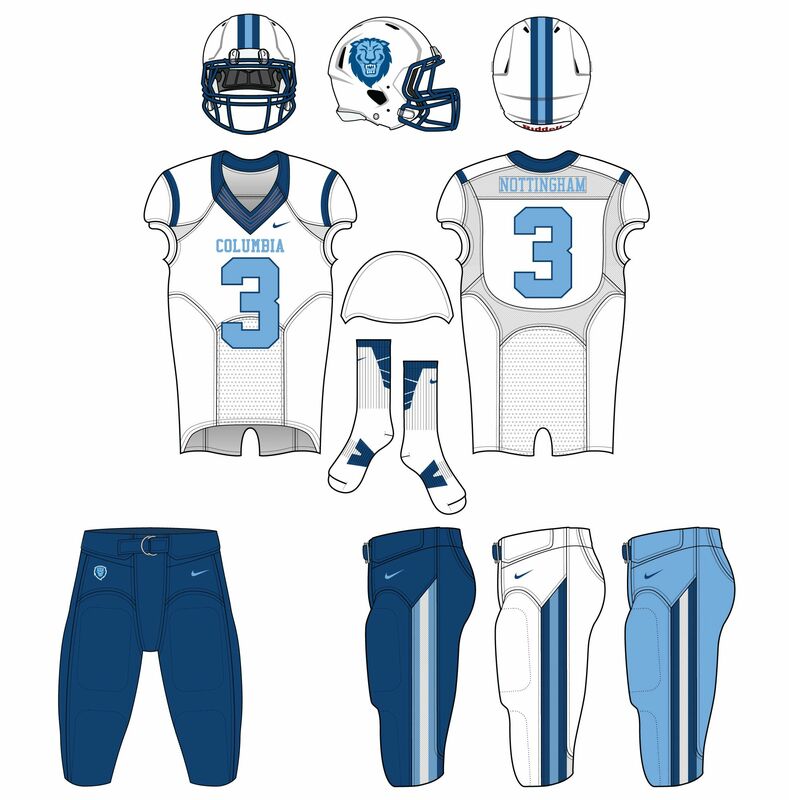 I love the concepts! Great job! Keep it up! 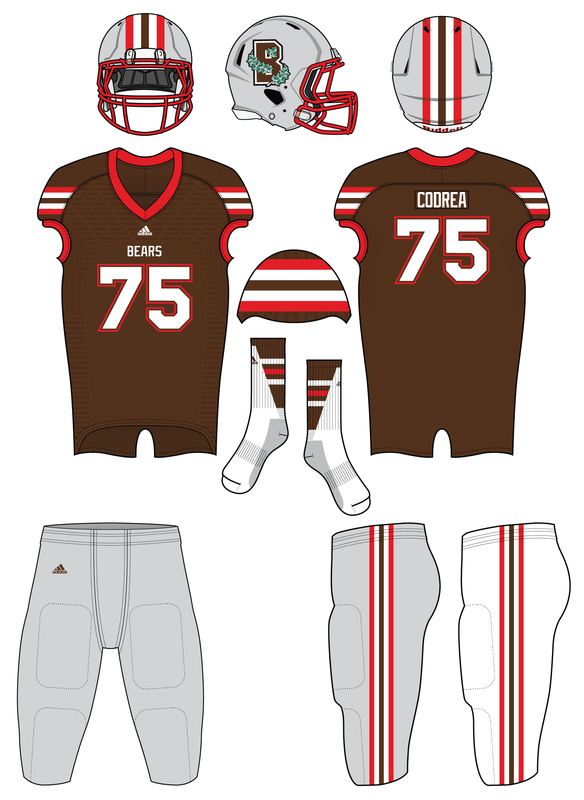 For Brown, I love the idea of a brown pants option.